The power of the youth rallies against gun violence that were held across the U.S. this weekend impressed many of the celebrities who turned out at the Kids' Choice Awards. 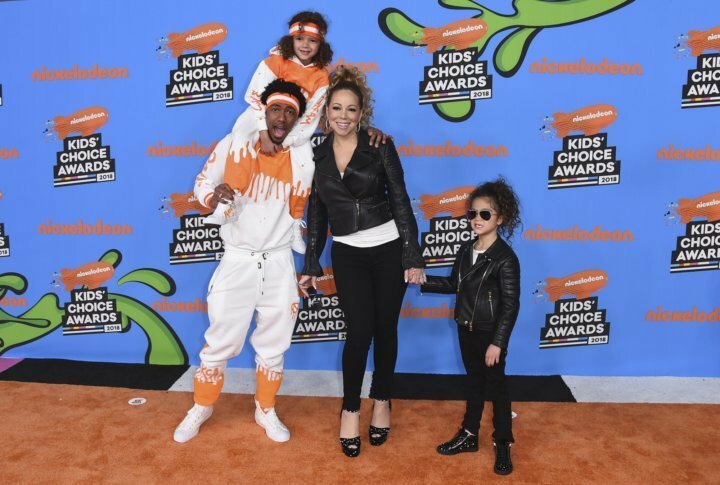 LOS ANGELES (AP) — The power of the youth rallies against gun violence that were held across the U.S. this weekend impressed many of the celebrities who turned out at the Kids’ Choice Awards. Stars including former couple Mariah Carey and Nick Cannon voiced their support for the hundreds of thousands of teenagers and their supporters who spent Saturday marching for gun control. “We were with them in spirit,” Carey said as she arrived that night to the annual event with ex-husband Cannon and their twins, Moroccan and Monroe. “Oh, it’s so amazing. Absolutely! I want them to see that as well,” Cannon said, pointing to his son perched on his shoulders. The Kids’ Choice Awards in Los Angeles featured host John Cena and others getting doused with green slime, as is tradition, along with performances and awards. Before the ceremony, stars praised the kids and teens who participated in the rallies in the kind of numbers seen during the Vietnam era. They were called to action by a new corps of leaders: student survivors of the high school shooting in Parkland, Florida, that left 17 people dead on Feb. 14. The demonstration in Los Angeles was the first protest for 15-year-old Jenna Ortega. The “Jane the Virgin” actress was deeply moved by the atmosphere. Ortega said the prevalence of mass shootings has made her scared to go to public places. “I’m only 15! It shouldn’t be like that. And school is supposed to be a place for love, where you learn, where you grow, not die. And that’s the saddest thing,” she said. Disney Channel actress Skai Jackson spoke at the Los Angeles rally and said teenagers still have power, even if they aren’t old enough to vote. Candace Bure, a Kids’ Choice Awards nominee for “Fuller House,” said she’s proudly raised her daughter to be an activist. “I think it’s so important to teach our kids to speak up for what they believe in and use their voice and know that they are never too young to have an opinion, to have their voice heard, regardless of whether people agree or disagree with them, but they have to speak up,” she said. Patrick Schwarzenegger, star of romantic teen film “Midnight Sun,” said he can’t wait to see this young generation of activists become the leaders of tomorrow. “They’re the future, and I think it’s awesome how they’ve handled themselves and gone out and used the situation (that) unfortunately (happened) to create a change,” said Schwarzenegger, son of actor and former California Gov. Arnold Schwarzenegger.